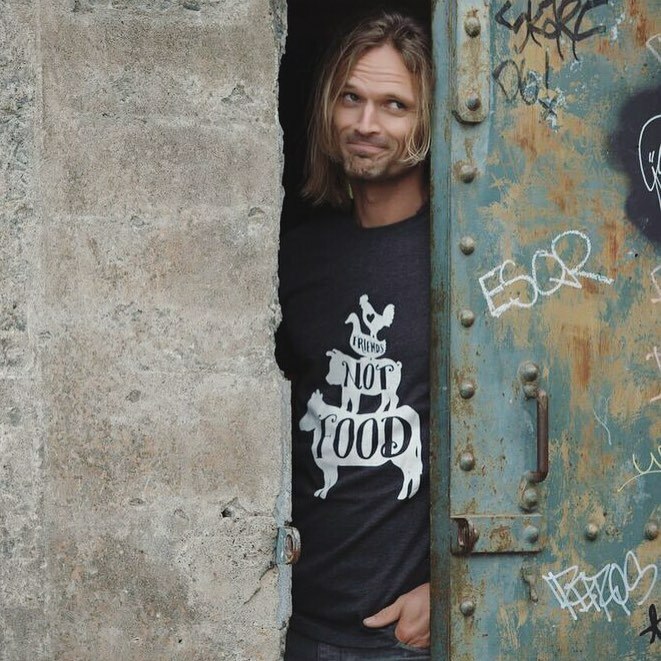 Triple Threads – a company that makes a boutique line of globally conscious apparel designed to inspire and represent three ethical reasons – earth, animals, and health – for a compassionate lifestyle – makes t-shirts that are soft and very flattering with a body hugging consciousness. 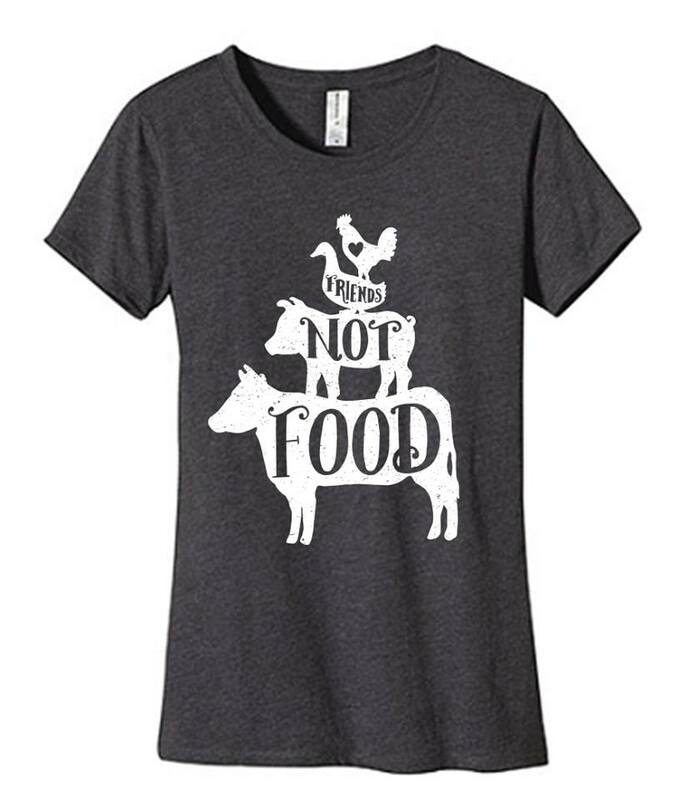 Made with 60% certified organic cotton and 40% polyester jersey, the “Friends Not Food” t-shirt is charcoal grey and comes in both women and mens sizes (S,M,L,XL,2XL). A high-quality t-shirt (yes, there really is one of those) that washes and wears well along with a kind message is the ultimate in t-shirt fashion. The fit is slim so consider ordering a size up. Normally $30 each, the t-shirts are on sale for $20 each. Free shipping on all orders over $50. To order, click here. To view other Triple Threads t-shirt designs (also on sale for $10 off regular prices), go to the company website: www.triplethreads.com. The shirts make a great gift for your favorite animal lover.